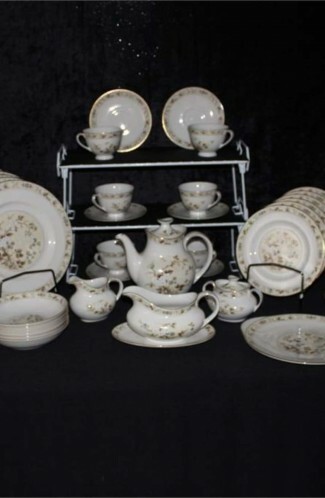 Copeland Spode Bermuda Pattern Ironstone 1930's China Dinnerware. 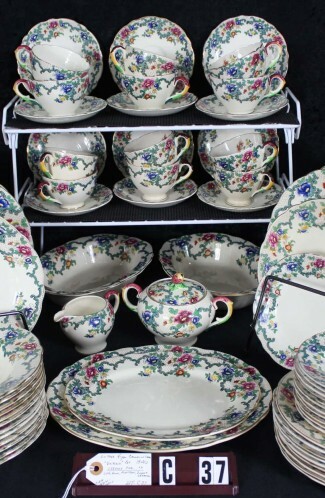 35 Serving Pieces, Brightly colored and very attractive. 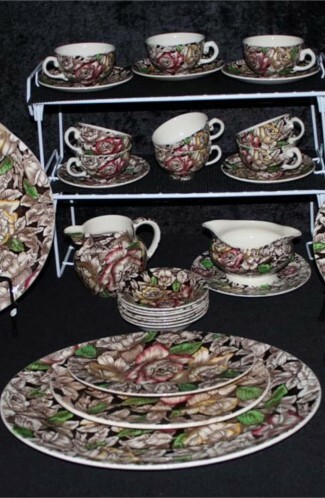 Copeland Spode Bermuda Pattern Ironstone 1930's China Dinnerware. 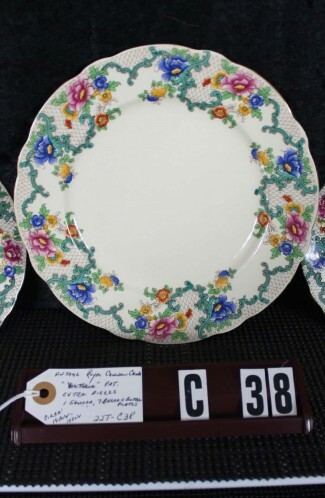 35 Serving Pieces, Brightly and attractively Colored. 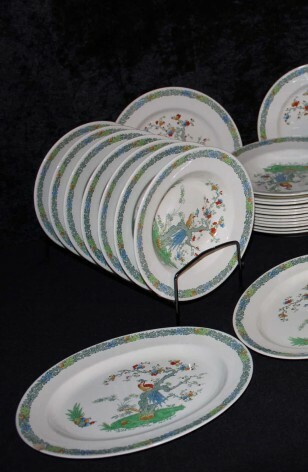 10 - Dinner Plates - 10 1/2"
7 - Cereal Bowls - 9"